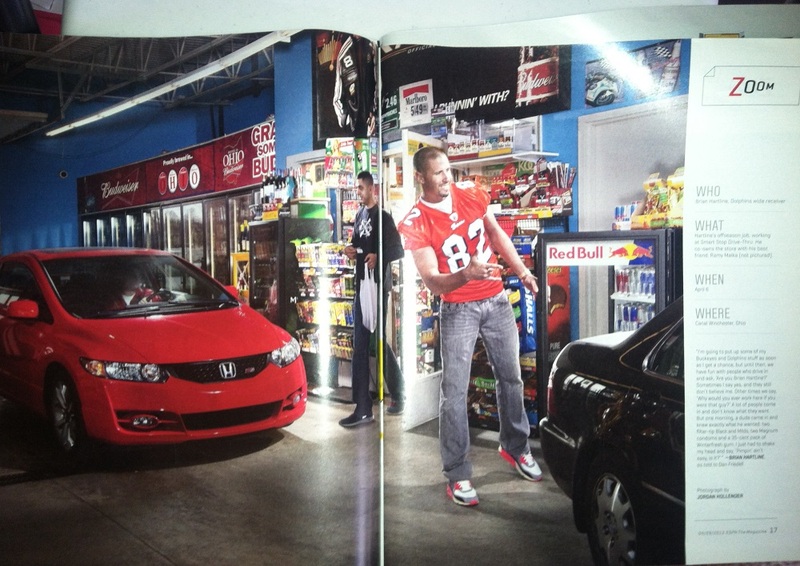 Photo of NFL wide receiver Brian Hartline working in his convenience store in Ohio. This entry was posted in ESPN the Magazine, Work samples and tagged Brian Hartline, espn, NFL. Bookmark the permalink.